The relationship with the passageway. Delhi may be a world unto itself – encompassing nearly 25 million of us. 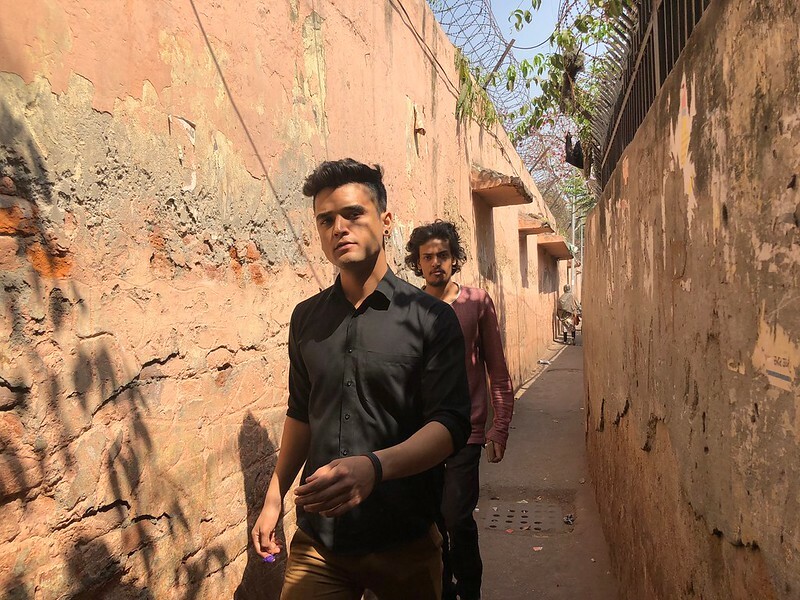 But it’s also countless private lives vividly played out on the streets and alleyways of the national Capital. 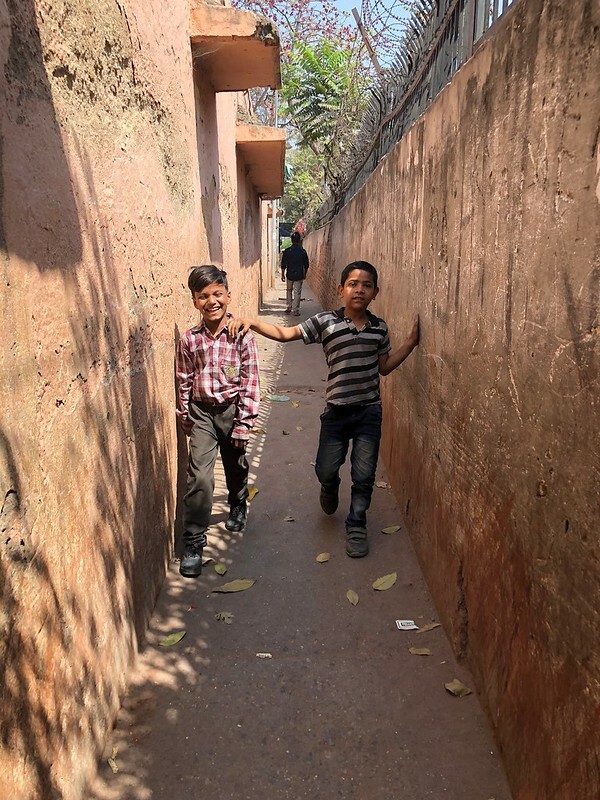 Somehow the spirit of our city – its esprit de corps – is encapsulated strikingly on a narrow lane where one late sun-filled afternoon The Delhi Walla encounters two young boys squabbling over yesterday’s carom board match. Also within earshot are some older women heatedly discussing the merits of the recent union between cricketer Virat Kohli and actor Anushka Sharma. This pleasant lane — an alleyway, really — vividly shows us the minutiae of the relationship we unconsciously strike with what is, basically, an infrastructural amenity connecting our intimate neighbourhoods to the vast, baggy city. 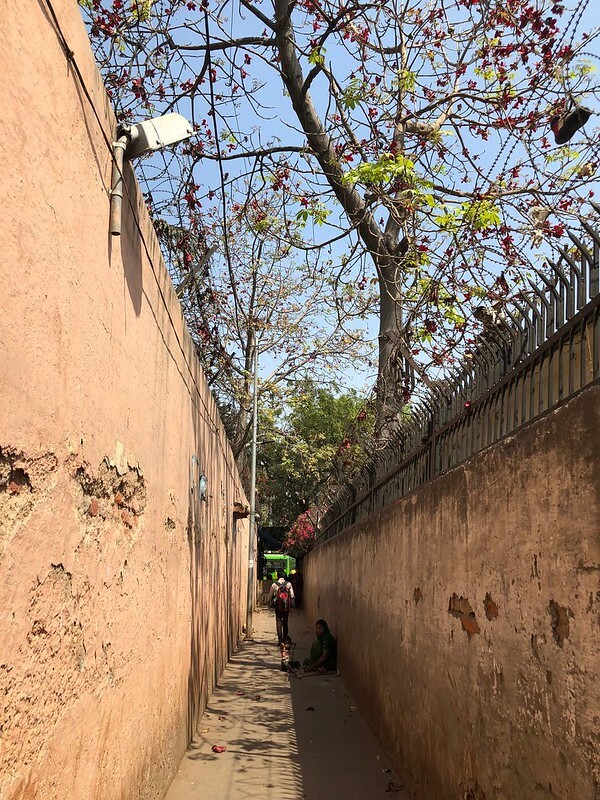 The lane gets its start along a broad pavement in central Delhi facing the sprawling grounds of Ramilila Maidan but ends in a mohalla so constricted that sunlight is more or less blocked; definitely a benefit during the steamy summer months. 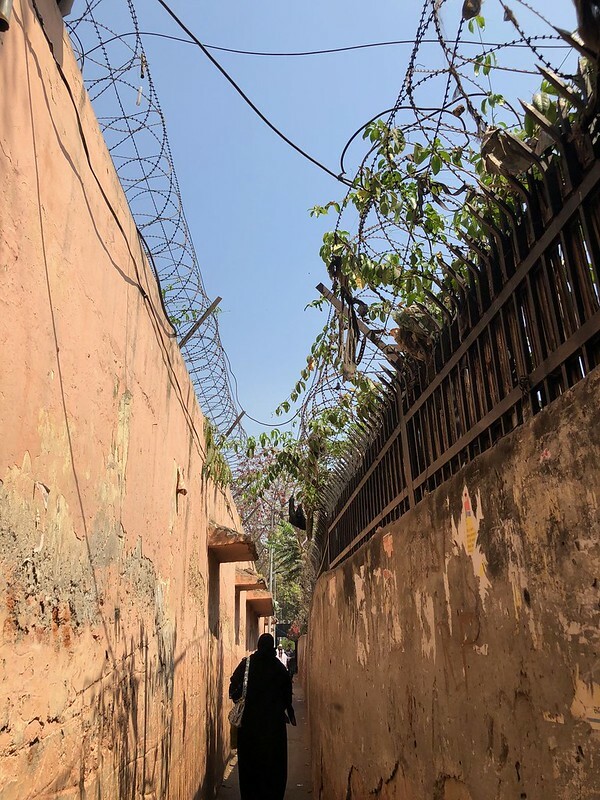 With high walls topped by barbed wire, the snaky passageway can be negotiated in a mere two minutes, leaving you in the extremely congested Basti Mir Dard. It is actually disorienting to be transported so swiftly from a totally open space into a place so damp, dark and claustrophobic. May be that’s why this passageway is so different from all the other passageways I have encountered. 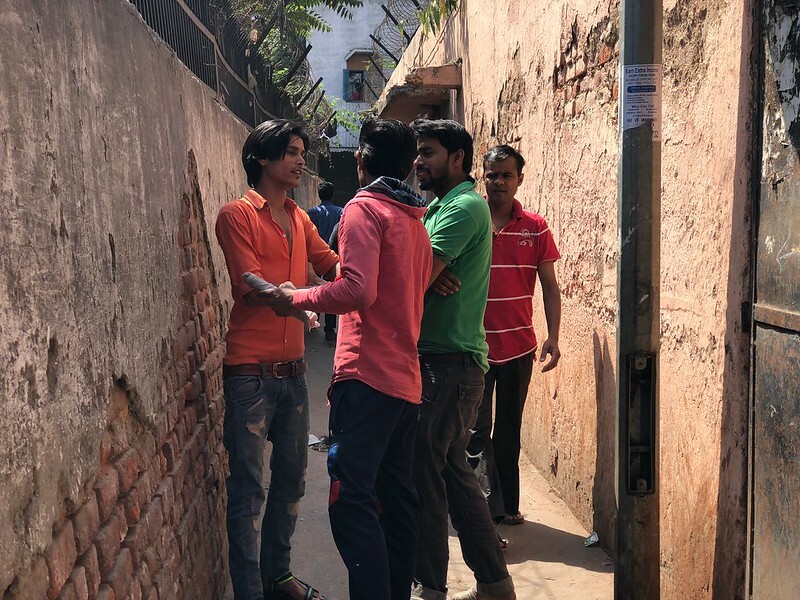 All day long, the basti dwellers pass along the corridor, sometimes halting for a leisurely chat with an acquaintance they spot. The traffic varies with the hours. For instance, the afternoon is filled with the rushing footsteps of returning school children. I see, an elderly man is taking turns along the lane as if it were a community park — he has no choice for there is barely any open space in the Basti inside. I also spot young men huddled on one side, watching a YouTube video in complete silence, like the audience inside a dark movie hall. A number of the residents, a basti grocer tells me, work as mechanics, waiters, and tailors. This lane isn’t merely convivial, however. It’s downright gorgeous, with the fleshy flowers of a tall Semal constantly flopping down with a loud thudding sound. These flowers are very slippery and we see a boy accidentally stepping over one of them. He almost falls but recovers in time, walking on with as much dignity as he can muster while his friends follow him laughing. Then there are those pink shrubs of burgeoning bougainvillea. 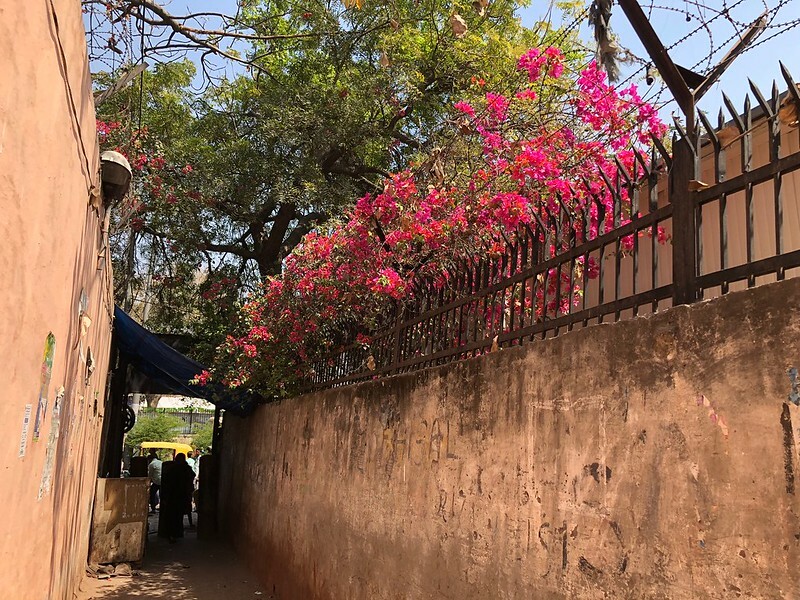 But these beauties stand ignored as a preoccupied passerby hurriedly walks past, dismissing the passageway as a shortcut from the hugeness of Delhi to his humble abode in this basti.